Jesus said, "The Kingdom of Heaven is like a man who sowed good seed in his field." Capernaum was still in view from where Jesus stood, as He looked out across the blue-green waters of the Sea of Galilee from the shoreline. His Disciples were bringing a boat. The sky was a deep, deep blue, which paled as it turned into hot sunshine. The wind blew against His face and His hair was ruffled like the folds of His garments and suddenly He was aware of the voices of a gathering crowd behind Himself. Jesus turned silently and watched the multitude. Many wanted to hear Him and some wanted Him silent. In particular, a group of the Pharisees and elders from Capernaum and surrounding cities had clustered just off to one side. Jesus knew them. He recognized them. Hed seen them in other places up in the hill country. They were the ones tempting Him with legal questions and speaking out against the power behind Him. Jesus fixed His eyes upon them and held up a hand that silenced the multitude. Then, Jesus said, "The kingdom of heaven is like a man who sowed good seed in his field, but while men slept, his enemy came and sowed tares among the wheat and went his way." One of the Pharisees cried out, "Are you speaking against us? Against the rulers of the people?" Jesus answered, "Woe unto thee, Chorazin! Woe unto thee, Bethsaida! For if the mighty works, which were done in you, had been done in Tyre and Sidon, they would have repented long ago in sackcloth and ashes. But I say unto you, It shall be more tolerable for Tyre and Sidon at the Day of Judgment, than for you. And thou, Capernaum, which art exalted unto heaven, shall be brought down to hell: for if the mighty works, which have been done in thee, had been done in Sodom, it would have remained until this day. But I say unto you, That it shall be more tolerable for the land of Sodom in the Day of Judgment, than for thee." Immediately Jesus made His disciples get into a boat and go before Him to the other side, while He sent the multitudes away. Then, He went up on the mountain to pray. When evening came, He was alone. But the boat was in the middle of the sea, tossed by the waves. Now in the fourth watch of the night Jesus went to them, walking on the sea. And Jesus hailed them, "Be of good cheer! It is I; do not be afraid." And then Jesus calmed the sea and His Disciples were saved. So, It is better to be tossed in the sea and watch Jesus come than it is to stand on dry land and see Jesus go. The Scripture still says to call upon God in our time of trouble, so that Jesus can rescue us so that we can give Him glory. And when Jesus comes, He draws us safely into the Kingdom, a harvest from good seed. Just as the people of Sweetwater need different Christian experiences, the various Christian Churches offer different expressions of the same faith. 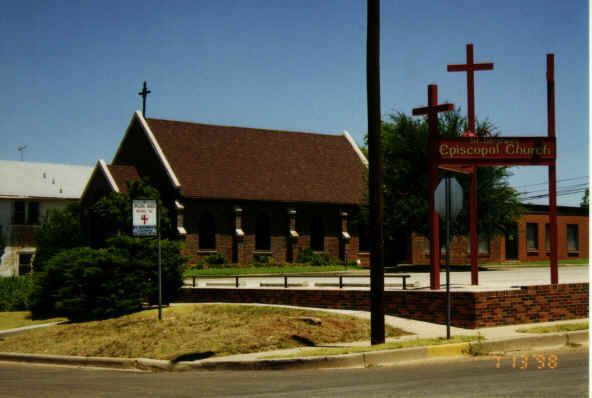 St. Stephens Episcopal Church offers a quiet, respectful hour dedicated to God every Sunday Morning at 11:00 AM, preceded by a thought-provoking Bible Class at 9:45, where we discuss intriguing passages from the Scriptures. Drop by some time. See us on the Internet and experience our online chapel in "Christ Themes" at www.ststephens.net. Please make plans to attend your Church-of-choice this coming Sunday.